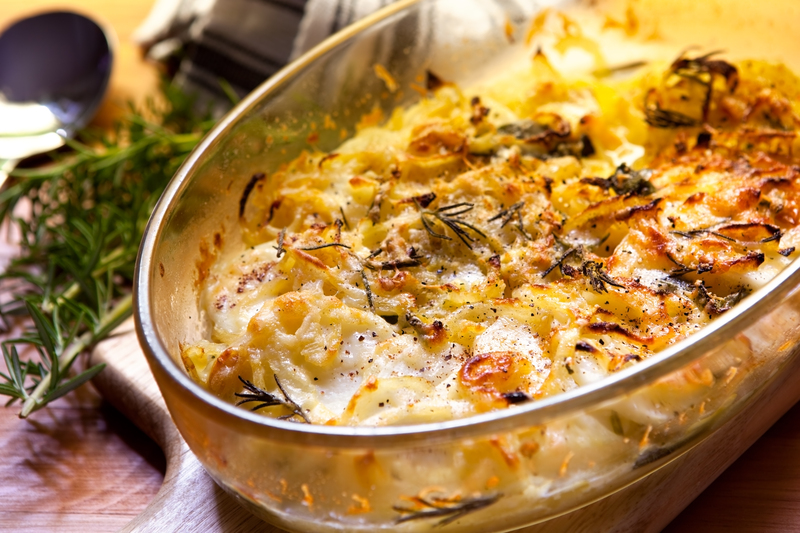 When It Comes To Potatoes, You Can’t Go Wrong With A Creamy Gratin! Gratin is a dish that we used to think was too elegant for everyday meals…luckily, we’ve seen the light and now know just how wrong we were about that. Whether it’s a classic potato gratin, or one with cauliflower or spinach thrown in, you really can’t go wrong with it and we’re so glad we’re on board! This one is similar to the traditional potato version, but we added Vidalia onions that add a lot more flavor and go fantastically with the potato and creamy, cheesy sauce. 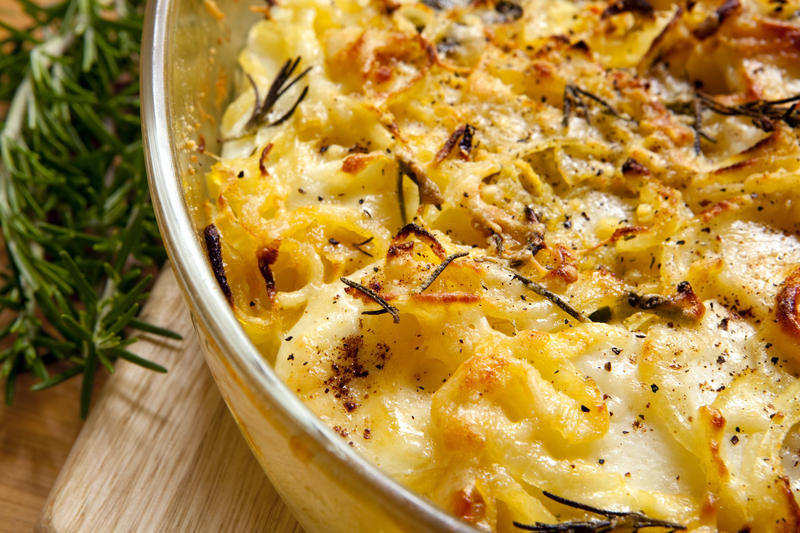 If you can slice some veggies and whisk together a quick sauce, you can have one of the best gratins you’ve ever tasted! Make an overlapping layer of 1/2 of potato slices along the bottom of a 9×13-inch baking dish, then top with 1/2 of onions and garlic. Season generously salt and pepper, then repeat layers with remaining potatoes, onion and garlic. Heat butter in a large saucepan over medium heat. Stir in flour and cook, whisking continuously, until smooth and paste-like. About 2 minutes. Slowly stir in milk and heavy cream and cook for 5-10 minutes, or until thickened, then mix in 1/2 of gruyere and stir until melted and smooth. Add nutmeg and season with salt and pepper, then taste and adjust seasoning, if necessary. Pour sauce evenly over potatoes and onions and top with rosemary, thyme and remaining cheese.